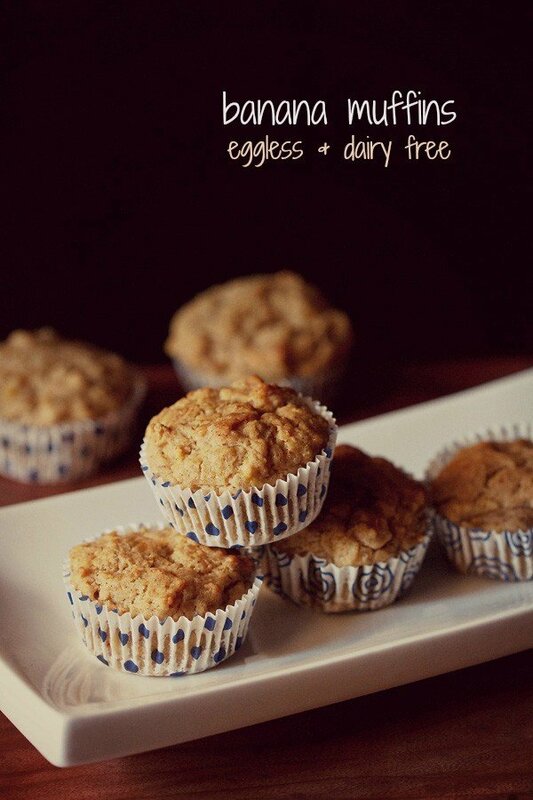 easy egg free chocolate chip muffins made with whole wheat flour. 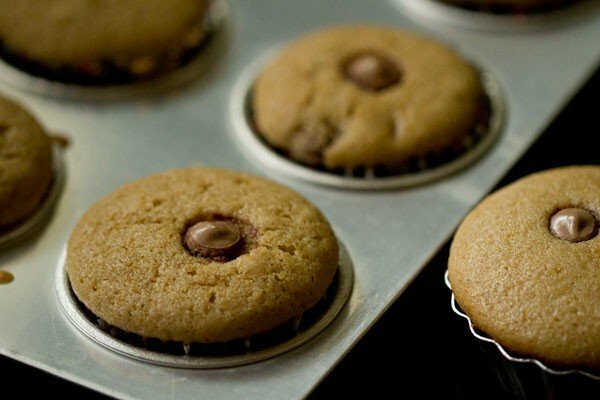 chocolate chip muffins recipe with step by step pics – easy to prepare delicious eggless chocolate chip muffins made with whole wheat flour. as a family we are chocolate lovers and any sweet or dessert with chocolate gets finished in no time. on one of my visits to the nearby super store, i managed to get callebaut chocolate chips and chocolate bars. one bite of the chocolate chip and it tasted real chocolate than the chocolate chips i have so far managed to get here. so with the chocolate chips i made these chocolate muffins a couple of times. 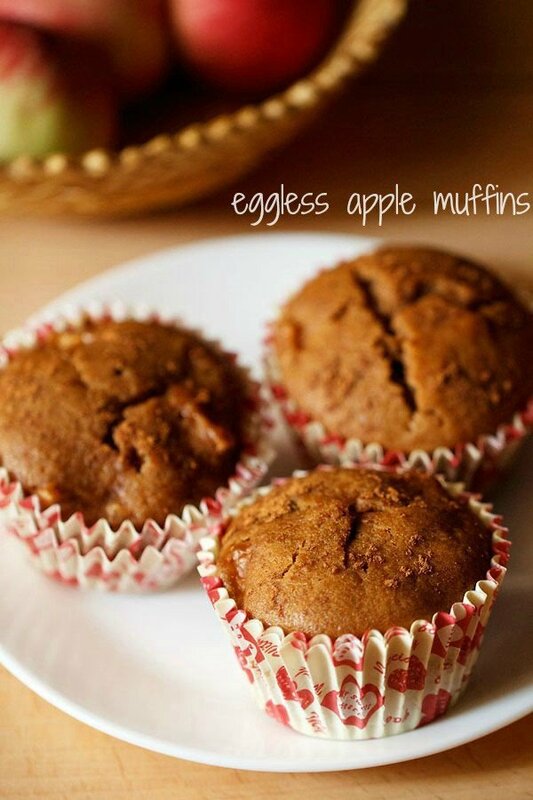 the crumb and texture is soft, light and so good, that no one will come to know that the muffins are eggless and made from whole wheat flour. when my folks had them, they thought i have added condensed milk and were pretty surprised that the only liquids that have been added are water and vinegar. 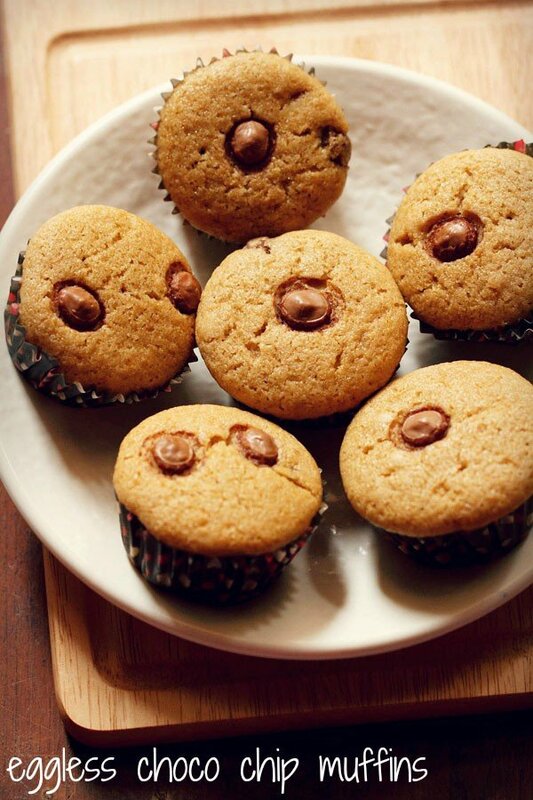 these chocolate chip muffins can be baked both in the regular oven and in the convection mode of a microwave oven. i am not sure about baking in a pressure cooker. the recipe yields 7 regular muffins. you can easily double the recipe. 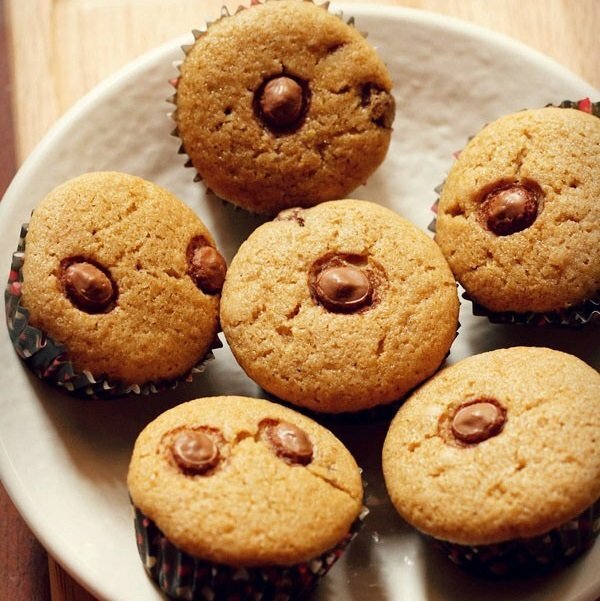 serve these chocolate chip muffins plain or with tea or coffee or milk. 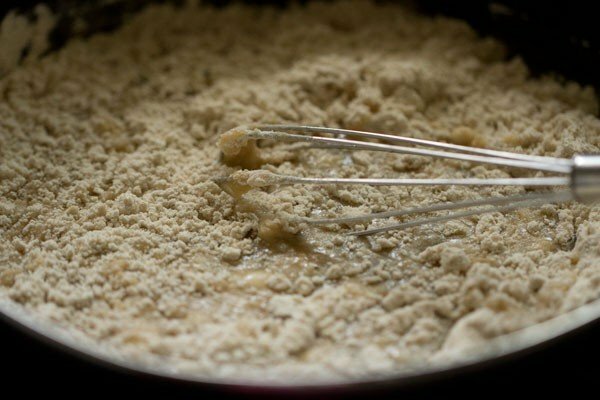 take the dry ingredients in a seive - 1 cup whole wheat flour, 1/2 tsp baking soda and a pinch of salt. sift and keep aside. preheat your oven to 180 degrees celsius/356 degrees fahrenheit. for an OTG, heat both the top and bottom heating elements. heat 1/2 cup water till its warm. 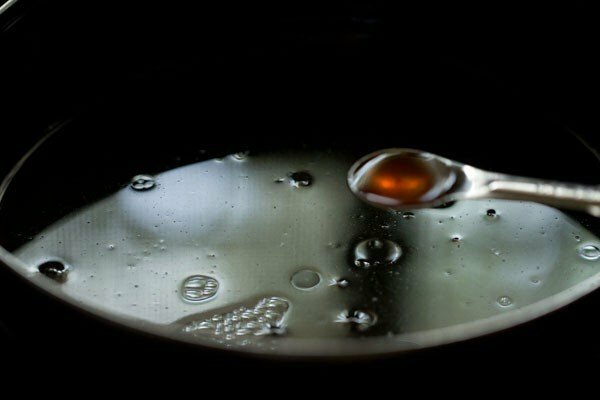 you can heat water in a pan or microwave. the temperature of the water should be about 45 to 46 degrees celsius. add 1/2 cup sugar to the warm water. stir so that all the sugar dissolves. now add 3 tbsp oil. i used olive oil but you can use any neutral flavored oil. you can also use melted butter. stir very well. now add 1/2 tbsp vinegar or lemon juice. you can add apple cider vinegar or regular vinegar. add 1 tsp vanilla extract or essence. stir and mix very well again. begin to mix. 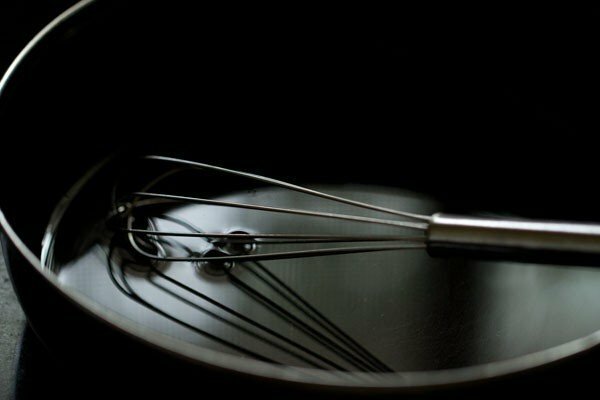 mix to a smooth batter but don't overdo the mixing part. 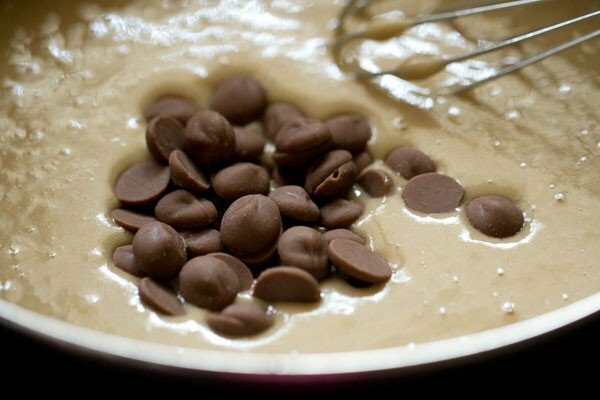 add 1/3 cup chocolate chips and mix again. 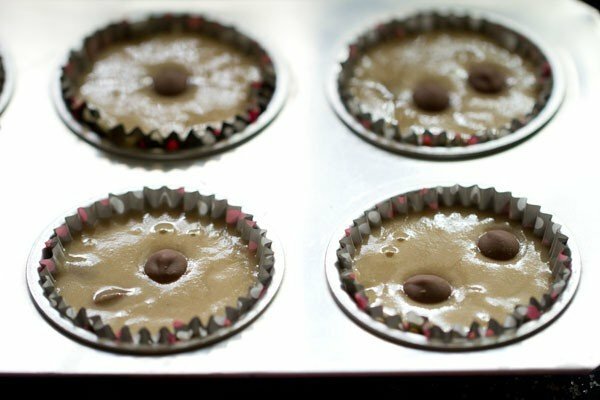 pour or spoon the batter in muffin liners. place one or two chocolate chips on top. this is an optional step. 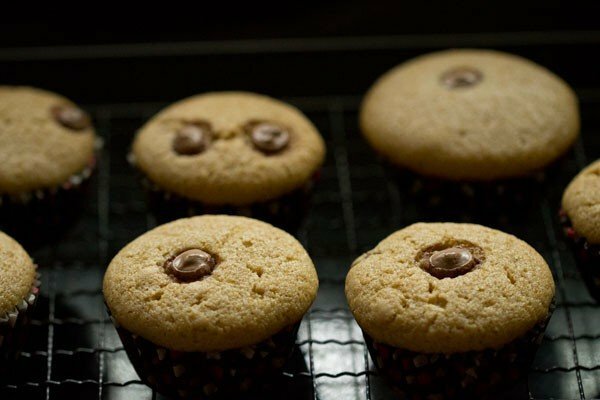 bake chocolate chip muffins at 180 degrees celsius//356 degrees fahrenheit for 25 to 30 minutes till the tops are browned and a tooth pick inserted in the muffins comes out clean. since the temperatures in all the ovens are not the same, do keep a check while baking. in an OTG, keep on the center rack. after 3 to 4 minutes, remove the muffins from the pan and place on a wire rack for cooling. overdo these chocolate muffins plain as a sweet snack or as a dessert. you can also serve with milk, tea or coffee. 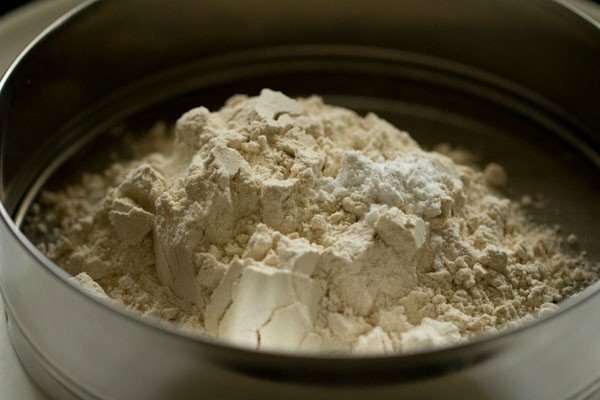 2. take the dry ingredients in a seive – 1 cup whole wheat flour (leveled), ½ tsp baking soda (leveled) and a pinch of salt. 3. sift and keep aside. preheat your oven to 180 degrees celsius/356 degrees fahrenheit. for an OTG, heat both the top and bottom heating elements. 4. heat ½ cup water till its warm. 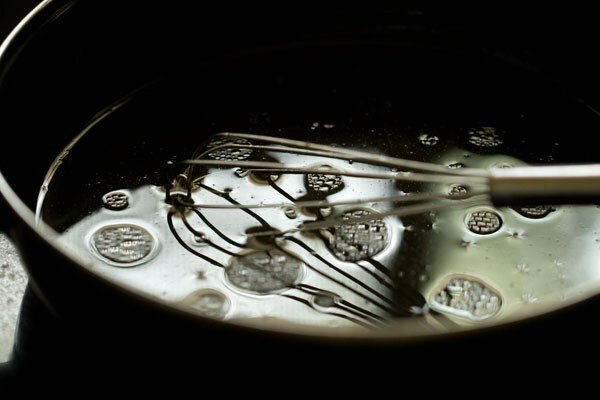 you can heat water in a pan or microwave. the temperature of the water should be about 45 to 46 degrees celsius. 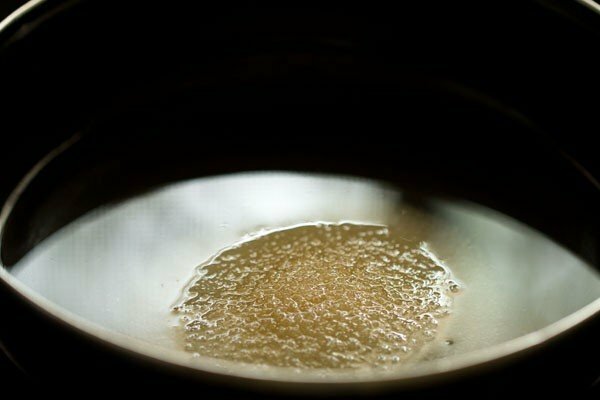 5. add ½ cup sugar to the warm water. 6. stir so that all the sugar dissolves. 7. now add 3 tbsp oil. i used olive oil but you can use any neutral flavored oil. you can also use melted butter. 9. now add ½ tbsp vinegar or lemon juice. you can add apple cider vinegar or regular vinegar. 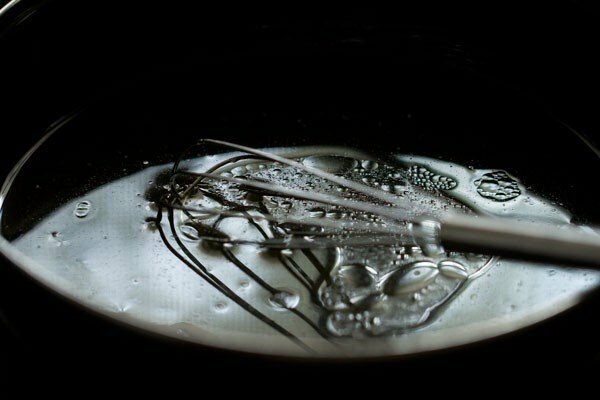 10. add 1 tsp vanilla extract or essence. 11. stir and mix very well again. 12. add the dry ingredients to the wet ingredients. 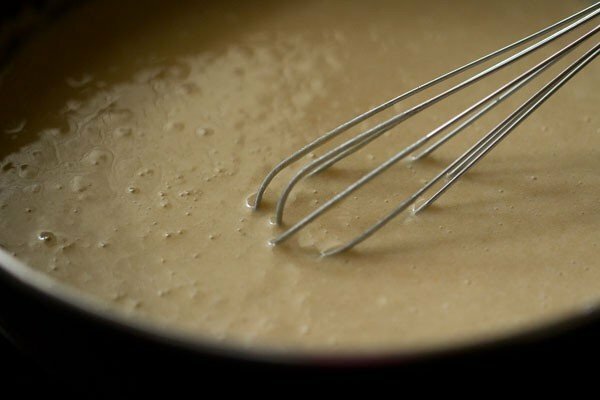 14. mix to a smooth batter but don’t overdo the mixing part. 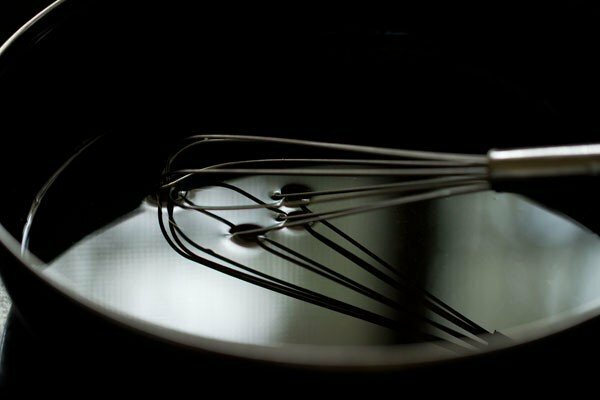 the batter has to have a flowing consistency. 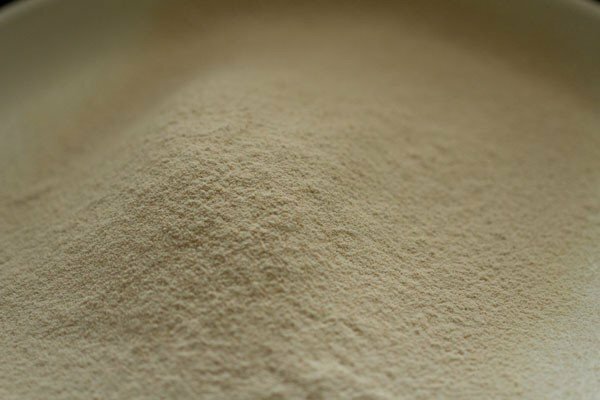 depending on the quality of flour, the batter can become thick too. in case this happens, then just add about ¼ to ½ cup more of water. i used stone ground organic wheat flour. 15. add ⅓ cup chocolate chips. 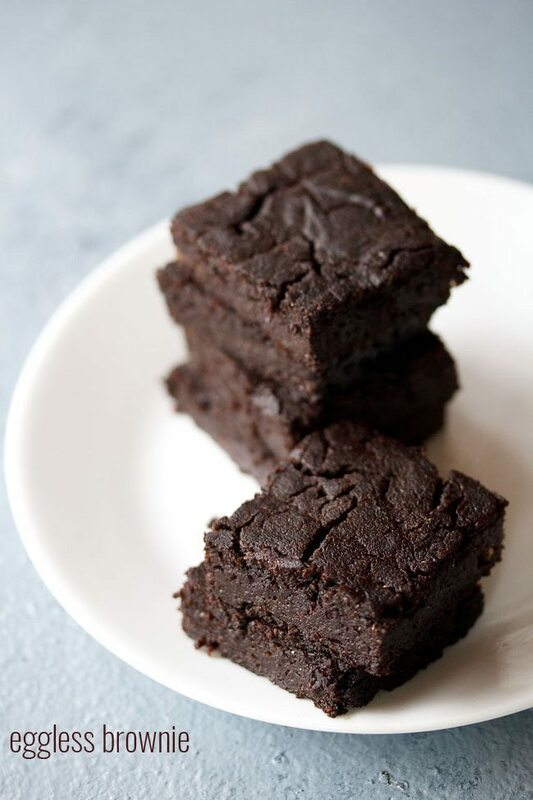 you can add any chocolate chip, sweet, semi sweet or even vegan. i used sweet chocolate chips. 17. pour or spoon the batter in muffin liners. 18. place one or two chocolate chips on top. this is an optional step. 19. bake chocolate chip muffins at 180 degrees celsius//356 degrees fahrenheit for 25 to 30 minutes till the tops are browned and a tooth pick inserted in the muffins comes out clean. since the temperatures in all the ovens are not the same, do keep a check while baking. in an OTG, keep on the center rack. 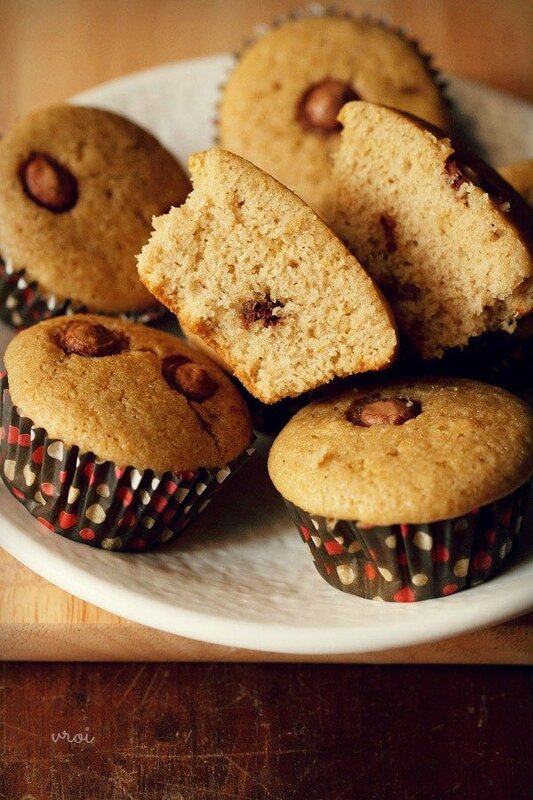 20. after 3 to 4 minutes, remove the chocolate chip muffins from the pan and place on a wire rack for cooling. 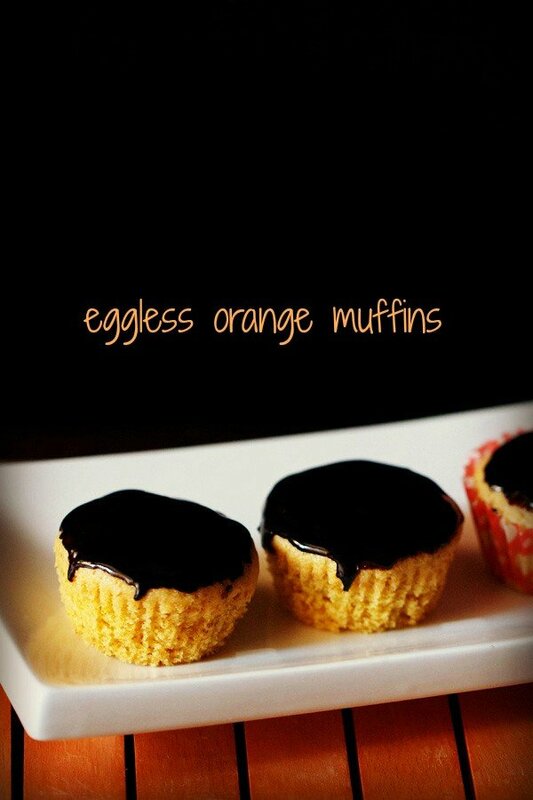 21. serve these eggless chocolate muffins plain as a sweet snack or as a dessert. you can also serve with milk, ginger tea or filter coffee. 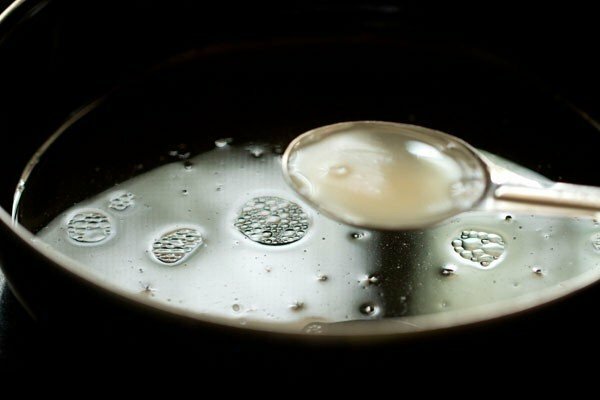 you can use buttermilk instead of vinegar and water. i am not sure about curd as some proportions of the water will change. If i dont have muffin tray but only liners can make or not? if you just use the liners, then they expand while baking as there is nothin at the sides to hold them. though you can use just the liners also. the muffins won’t rise from top much as they will expand from the sides when baking. It came out awesome. Ma’am, this is not the first time I am using your recipe. Every time, whenever I have tried your recipes, smile on my kids lips have broadened. I simply love that. Just want to thank you. Welcome Aarti. Glad to know this. Thanks for sharing your positive feedback on recipes. The ratio for baking soda to flour mentioned on the baking soda box is 6g:500gms. Considering that wouldn’t ½tsp baking soda be too much for 120gms flour? I am a little confused with the measurements and the equipment. 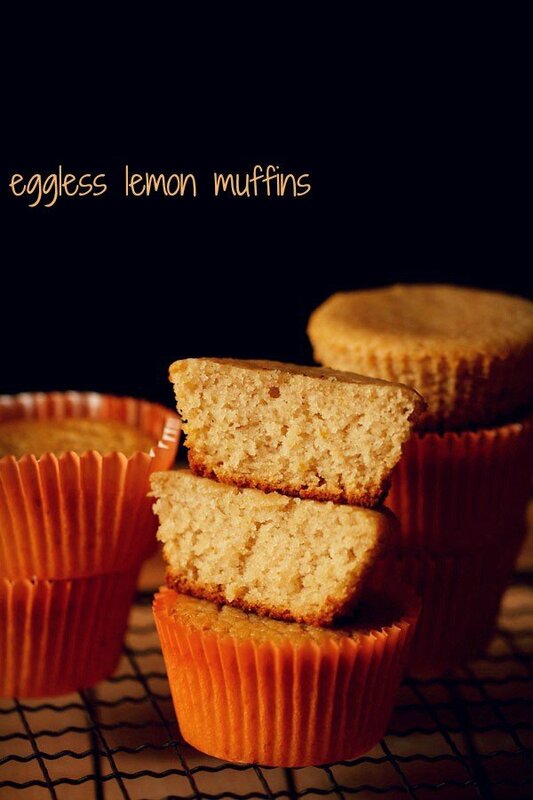 I am trying eggless muffins for the 1st time. 1/2 teaspoon baking soda is fine in this recipe. you can also add 1/3rd teaspoon of baking soda if you want. have been a great delight to read these recipes and try them out. I am new to baking and very excited to try these muffins. 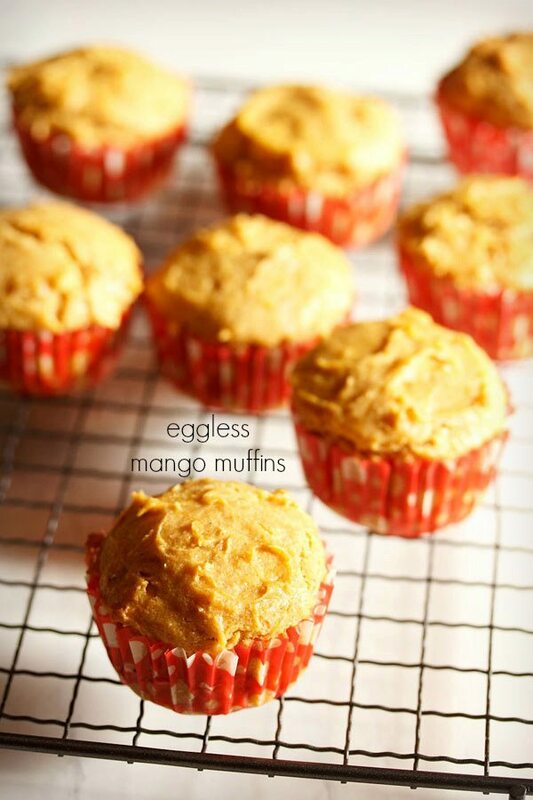 Have a question though, in some muffin recipes, you have added cold water and in some warm water. Please let me know the reason behind. Thanks Anu. Its as per the recipe and the ingredient used in the recipe. okay. bitter taste won’t be due to the baking soda. it could be due to the vanilla essence. try adding less like half teaspoon instead of 1 teaspoon. I tried these muffins today.. I took them out of the OTG once the toothpick came out clean. However my muffins didn’t come out clean from the muffin liner…Kind of stuck to it. I didn’t bake for additional time as then they would turn hard and dry. Is this due to lack of butter i n the recipe? zarna, its not due to lack of butter. 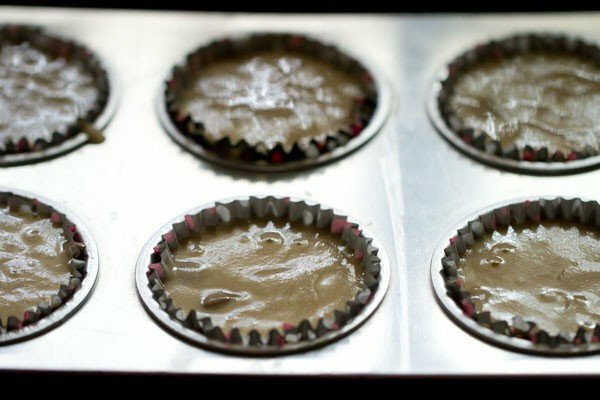 did you use paper muffin liners or silicon ones or just a muffin pan. the sticking is due to the moisture. 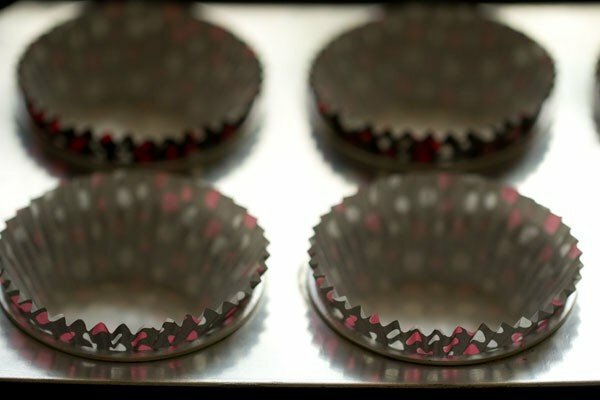 as soon as muffins are done and if they are baked in a liner, then remove them from the muffin pan and let them cool on a wired rack. this way there is less moisture that happens due to condensation. How to make dry soya sticks ?? chintan, i don’t have recipe for dry soya sticks. Can I use this recipe to bake a whole wheat chocochip cake instead of muffins? hi maa’m..I want to make around 30 muffins and will have to bake them in batches of 3 as I have 12 muffins mould..so can I make it a night before and shall I refrigerate it or keep it outside only?..one more query, can I used maida instead of whole wheat flour? trisha, if you plan to keep the batter in fridge, then do not add baking soda. you can just mix everything and then add baking soda just before baking. 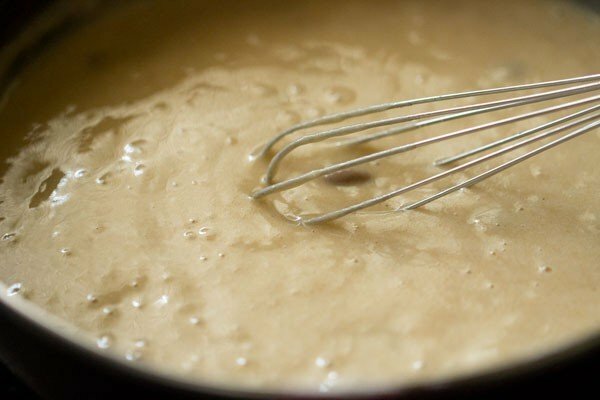 but here when you add baking soda, the batter has to be at room temperature and also mix it very well. so you can divide, the batter in three equal parts and accordingly add baking soda. 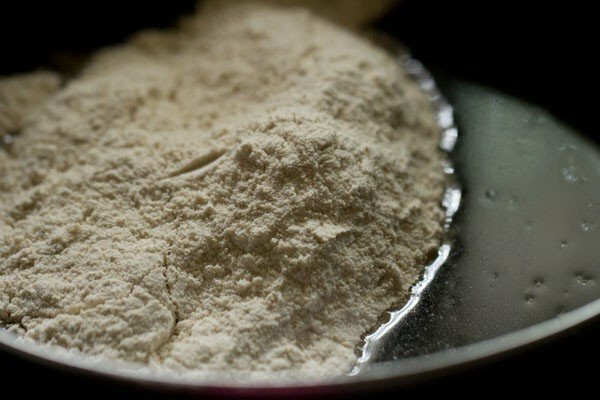 for 1 cup flour, its half teaspoon baking soda. so for 4 cups flour, add 2 teaspoons baking soda. 4 cups will yield 28 to 30 muffins. so if you divide the batter in three equal parts, then in each portion you will have to add 2/3rd teaspoon. or you can divide batter in 4 parts and add half teaspoon in each portion. We have to preheat the oven for how much time? thank you vijetha for sharing your experience as well as for the feedback on the muffins. glad to know. do make them again, so you can also get to taste them. 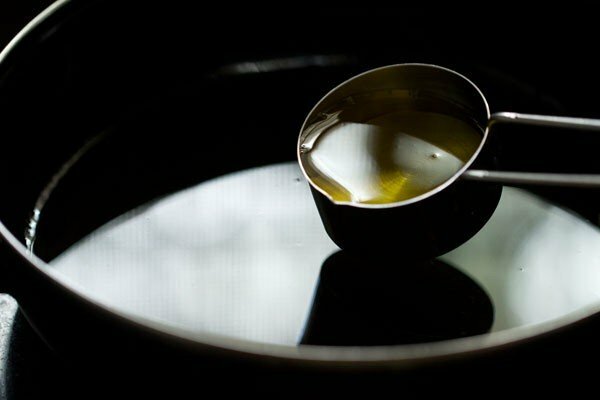 Can I replace oil with butter? I believe the consistency of the batter would change right? you can. the consistency will change slightly and not much. welcome deepa. glad to know this. thanks for sharing positive feedback on cake recipes. Hi, this recipe is a hit. But can i make it a chocolate base recipe by putting cocoa powder in it. How much cocoa powder should I put in it ? you can. add 1 to 2 tablespoon cocoa powder. you may have to increase the water by 1 to 2 tablespoon more. you will also need to increase sugar. 2 to 3 tablespoons more sugar. Tried this recipe today.it came out very well.the texture and taste were awesome. .Thanks for sharing such à simple and healthy recipe. thanks subhashini 🙂 for you positive and encouraging feedback. you are welcome. HI you know me right rina. I love ur recipe. Muffins are my favourite. Thx a lots ?? This is my first time to bake muffins and because of your excellent recipe I succeeded? I am ready to try all ur other recipes. Thanks a lot for helping moms like us to show our love to the family in a bit another fabulous way ?? can u pl. tell me if I can use 1/2 cup milk instead of water? mili, yes you can use.